If you are looking for a local church, we would love you to join us! 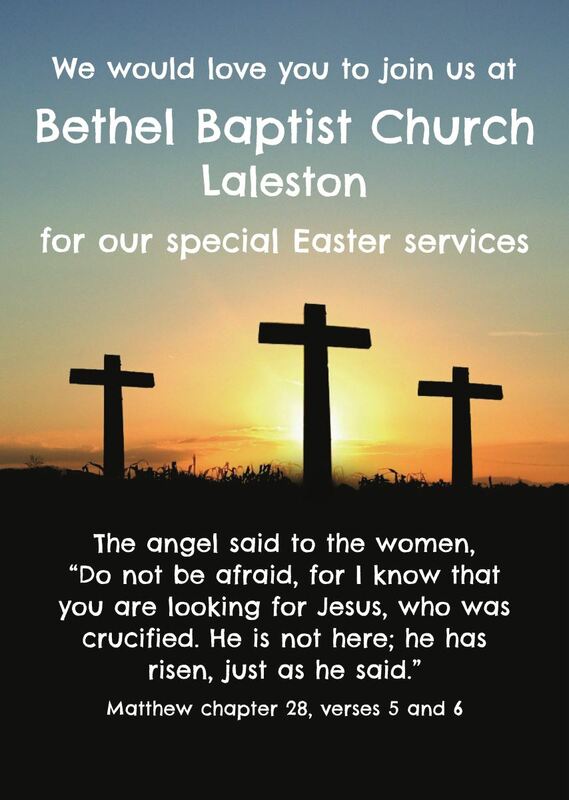 We are a small, friendly group of Bible-believing Christians, who love the Lord Jesus Christ and who meet regularly in our chapel building in Laleston for worship and fellowship together. We meet on Sundays for about an hour each service. We sing hymns and songs, old and new, we read the bible and we pray. The main focus of our services is the bible and someone (usually the pastor) will open up part of the bible for about half an hour. After the morning service we have good refreshments! There are various ladies meetings on a Monday afternoon. Some weeks there will be an invited speaker, other weeks there is a craft session where you can have a chat and socialise while being productive (knitting, sewing, crochet etc.). We meet mid-week to discuss the bible together briefly before sharing a time of prayer. We have a coffee morning once a month where the church is open and everyone is invited to drop in for a cuppa. We also meet monthly to discuss the bible together as part of our bible reading programme. We love to share food together and you are welcome to join us for the occasional soup lunch or other meals as advertised. You can find out what’s happening this month in the church or view the church calendar.